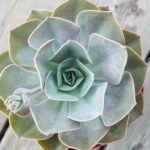 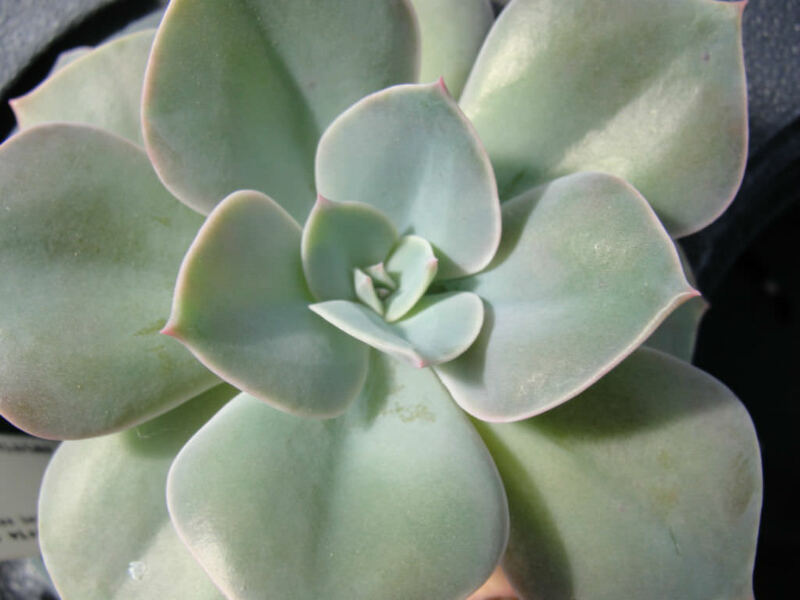 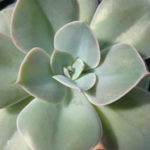 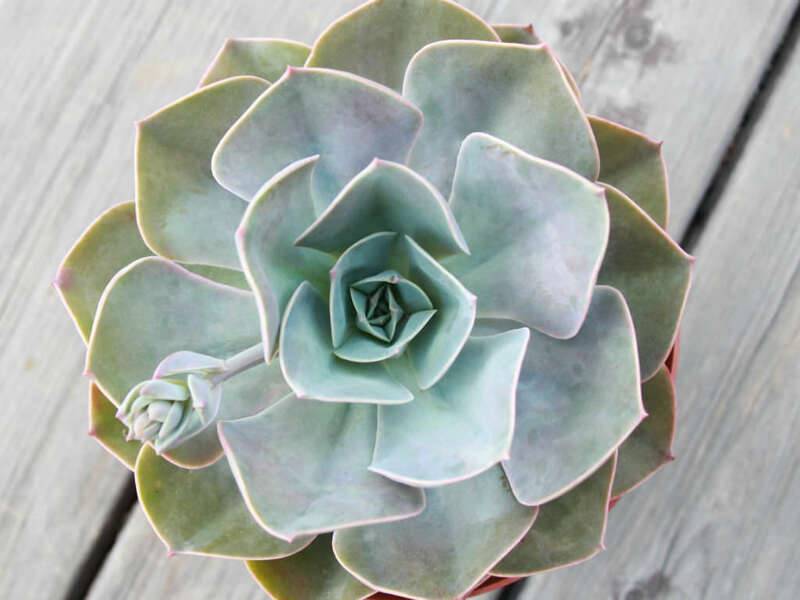 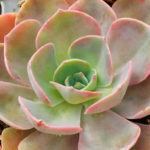 Echeveria ‘Cassyz Winter’ is a beautiful, flushed, pink, rosette succulent up to 8 inches (20 cm) tall, with a silvery-green, heart indicating new growth is on its way! 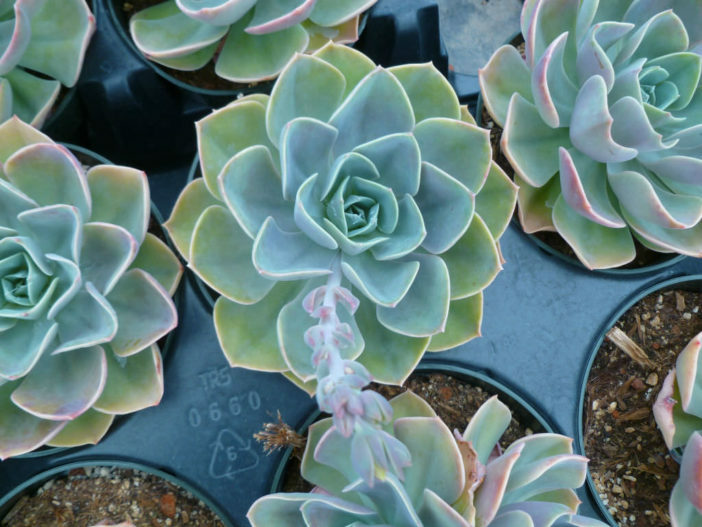 The rosettes are up to 8 inches (20 cm) in diameter. 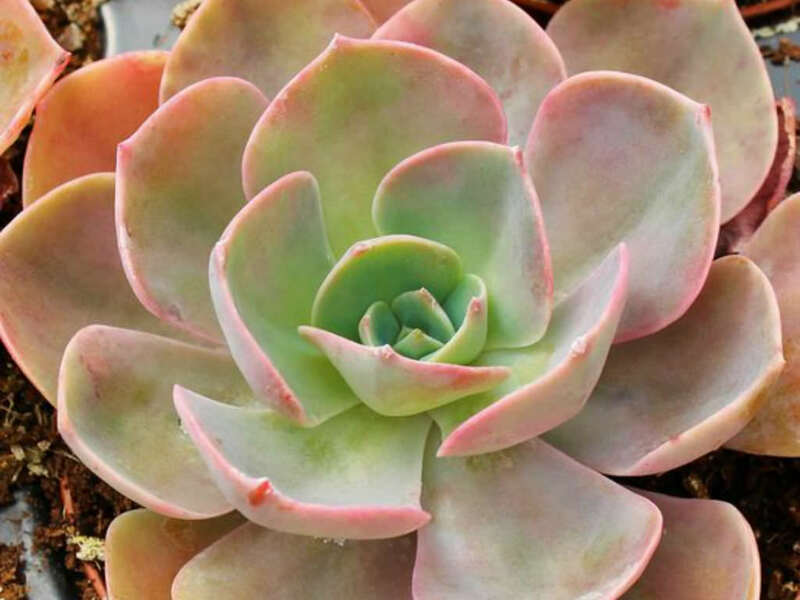 This plant’s coloring makes it the perfect addition to any container or garden.